Photograph courtesy of Barbara Whent. 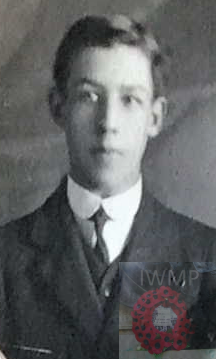 Died: 1st October 1916; age 19; KiA. 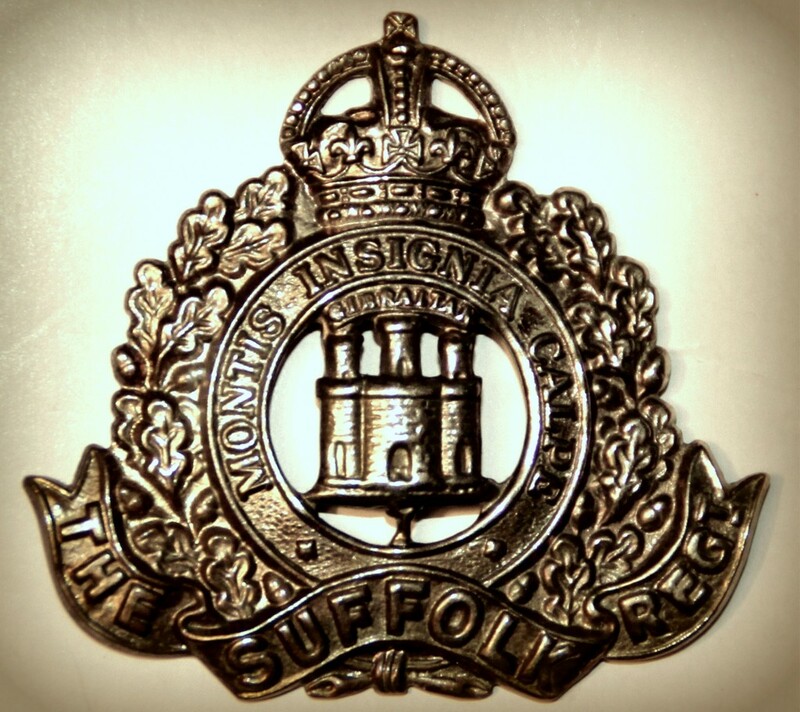 Regiment: Suffolk Regiment, 4th Battalion, attached to 4th Field Survey Coy, Royal Engineers. 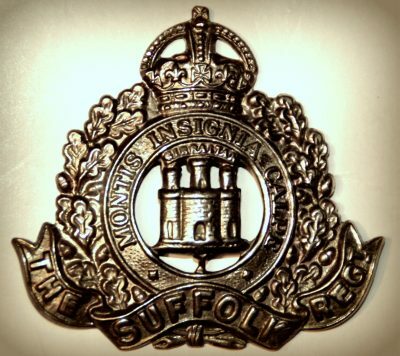 Relatives Notified & Address: Son of Robert W. & Alice Bell, of 29, Holland Road, Ipswich. 1901 29, Holland Road, Ipswich. Robert William Bell, 34, a Merchant’s Clerk, born Ipswich. Alice Bell (nee Clarke), 32, born Stratford St. Mary, Essex. Herbert Edgar Bell, 9, born Ipswich. Harold Robert Bell, 6, born Ipswich. Evelyn Hilda Bell, 2, born Ipswich. 1911 29, Holland Road, Ipswich. Cyril was 14 years old, a Printing Apprentice. He was living with his parents & siblings. Robert, 44, a Commercial Clerk. Herbert, 19, a Grocer’s Assistant. Harold, 16, a Printing Apprentice. Muriel Alice Bell, 9, born Ipswich. Harry James Bell, 7, born Ipswich. Doris Phoebe Bell, 6, born Ipswich. Laura Annie Bell, 1, born Ipswich. Soldiers’ Effects to Robert W. Bell – father. Cyril with his parents and siblings. MR: Doris, father Robert William, mother Alice. Oh my word we are blown away by this. 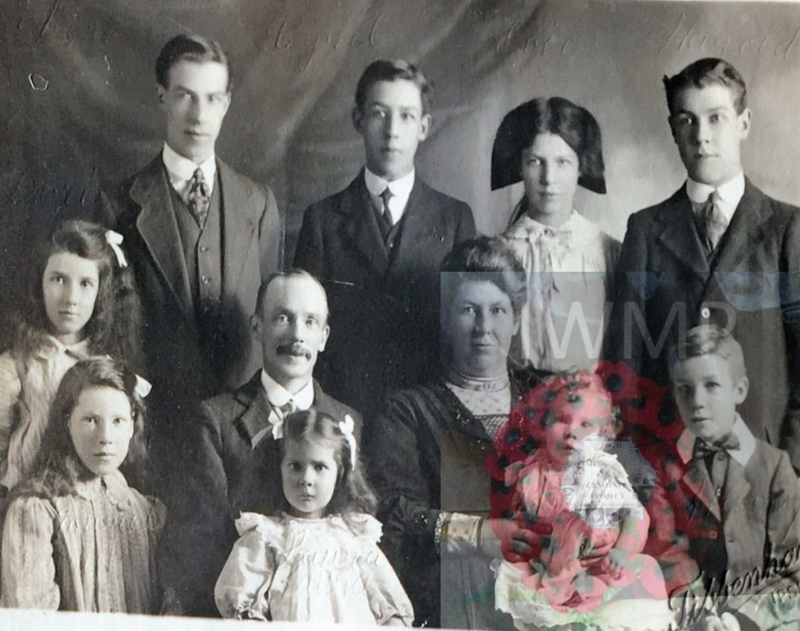 I believe Herbert Edgar, back row far left is my grandad and next to him, Cyril Arthur is my great uncle together with their siblings and my dads grandma and grandma. Thank you Barbara. We have been looking into the family tree for a few years now and Josh, my son, has traced it way back but only just seen these photos.